The current dominant agricultural model has run out of steam. It’s high time to replace it with one that is not only sustainable, but also efficient, inclusive and respectful of the planet and the people who produce and consume food. This was the conclusion of the FAO’s (Food and Agriculture Organization of the United Nations) second International Agroecology Symposium. 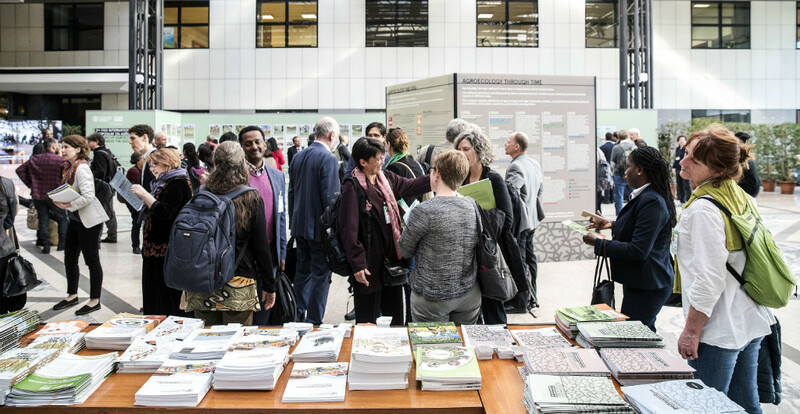 From 3 to 5 April, Hivos joined over 700 international grassroots activists, government officials, policy makers, donor institutions, NGOs, researchers and private sector actors convened at the FAO headquarters in Rome to discuss the concept of agroecology. 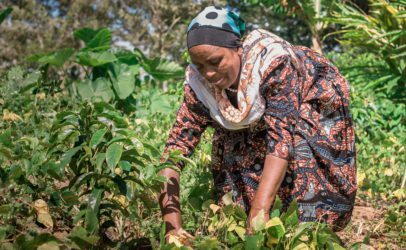 Rooted in and informed by local needs and knowledge, agroecology is an agricultural method that takes local food cultures, ecological and socio-economic resilience, efficiency and recycling (of nutrients and resources) as starting points. With FAO being the most important and influential global policy institution that has pushed the Green Revolution for decades, this acknowledgement of agroecology as a serious and viable alternative to the dominant model of industrial agriculture is a remarkable and hopeful sign for farmers around the world, as well as for the planet and humanity in general. The opening statement of the president of the International Fund for Agricultural Development (IFAD), Gilbert Houngbo, left no room for doubt: ‘Sustainable food production systems must take an integrated and holistic approach to agriculture based on the principles of biodiversity, which is the essence of life’. Similar language from FAO Director General José Graziano da Silva in the opening plenary session indicated nothing less than the start of a paradigm shift and a new direction for the UN Rome-based agencies towards truly sustainable food systems. These are hopeful developments, as changes in narratives often precede changes in policies that can eventually lead to systemic changes. 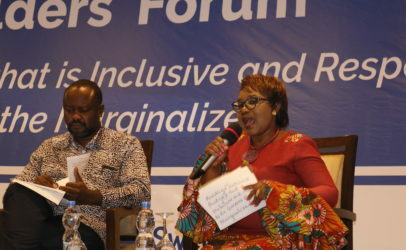 Hivos and partner IIED contributed to the panel discussion on Innovations for Agroecology, which officially kick-started the Symposium and highlighted the need for social innovations – like inclusive decision-making and enabling policy environments – to scale up agroecology and make it work. 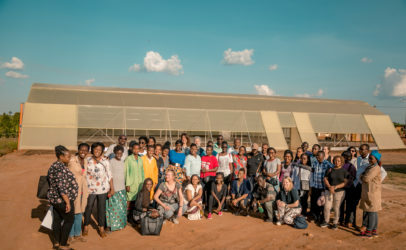 We also presented the work of our Sustainable Diets for All Programme, including the Zambian Food Change Lab – one of 30 innovations the Symposium chose to highlight. 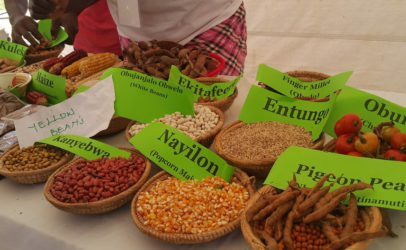 Our Zambian Food Change Lab shows a way to innovate within agroecology by bringing together stakeholders in the local food system to jointly define food-related challenges and possible solutions. In an inclusive process, participants from policy makers to smallholder farmer groups jointly analyse key problems in the Zambian food system and contribute ideas and practical prototypes that can diversify the country’s agricultural production systems beyond the current focus on maize production. 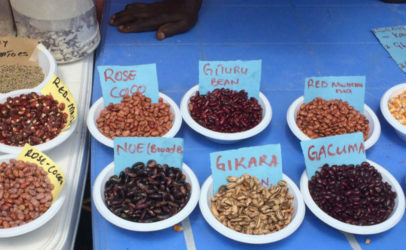 In order for agroecology to fulfil its huge potential for supplying nutritious food to people whilst mitigating climate change, protecting the environment and respecting local needs, knowledge and food cultures, a few things need to be done. First and foremost, governments and policy makers should integrate agroecology principles and methods into legal and regulatory frameworks. Secondly, more public and private resources should be used to promote and implement agroecology. This includes training farmers, ensuring better and more equitable access to land, water and seeds, stimulating market demand, and educating consumers. In a parallel effort, subsidies and other public resources should be diverted away from highly polluting and inequitable forms of industrial agriculture. Last but not least, all stakeholders, including governments, NGOs, researchers, and the private sector, need to recognise that agroecology is totally incompatible with the current agricultural model controlled by corporate interests and reliant on the non-renewable resources, fertilisers, pesticides and fossil fuels associated with cash-crop production. Therefore, agroecology should not be considered as a means of salvaging status quo industrial agriculture, but as the only agricultural production model that will inclusively and sustainably provide sufficient amounts of nutritious food for all. Agroecology is an idea whose time has come. Let’s take this new direction towards a truly sustainable food system!